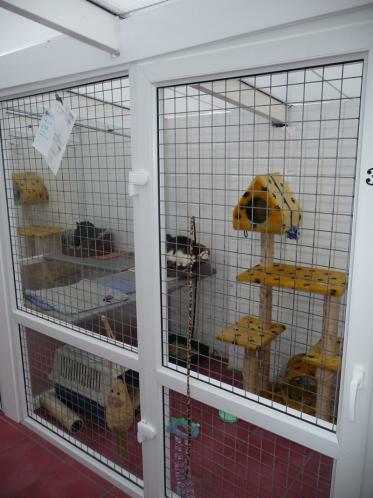 Cats are housed in chalets in our luxurious pavilion, where they have a raised bed area and lots of space to play. 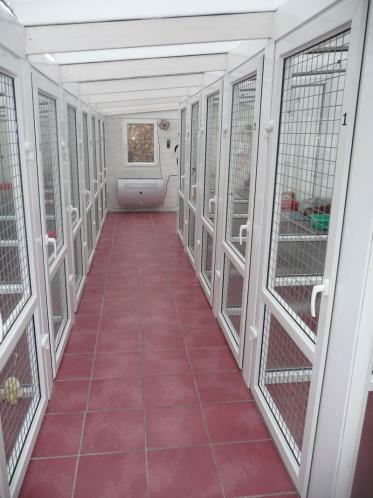 Similar facilities are available indoors where we also have facilities at one level for elderly, very young or not so frisky visitors. 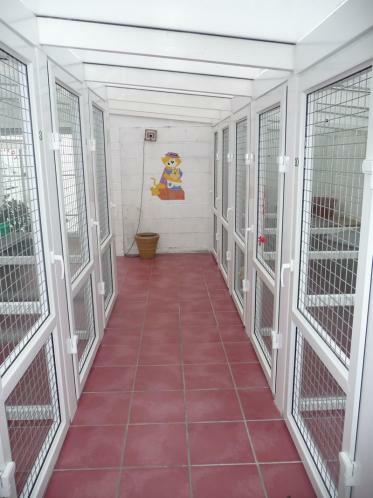 All facilities have 24 hour heating and air conditioning. We feed our cats twice daily with milk at midday. Fresh fish and chicken are fed regularly and we use the innovative new letter pearls.